Evanston community members called for equality and unity at an event on Saturday, as the city celebrated Martin Luther King Jr. Day with performances and speeches at the Fleetwood-Jourdain Community Center. The event started with a performance of “Lift Every Voice and Sing” by the Second Baptist Church children’s choir. In his opening remarks, Ald. Donald Wilson (4th) paid tribute to former Evanston mayor Lorraine Morton, the city’s first African-American mayor who served from 1993 to 2009. Morton passed away last September. 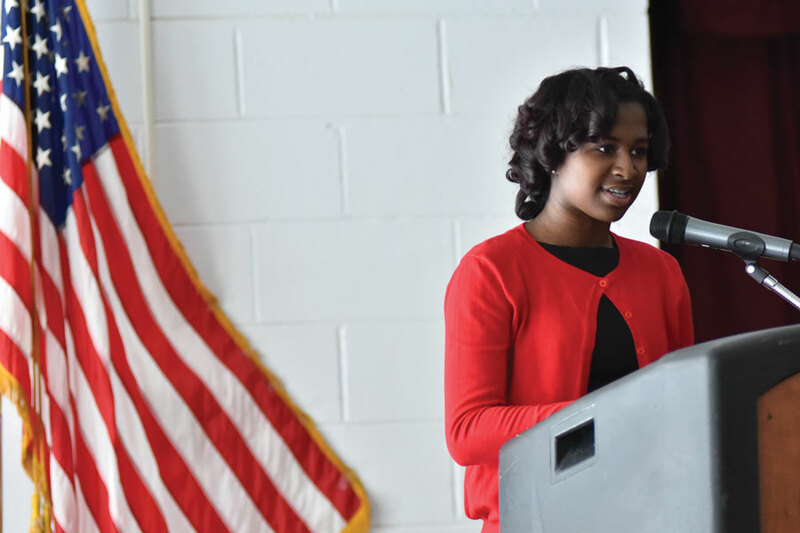 Evanston Township High School junior Chloe Ann Smith delivered the keynote speech. Smith said she has attended the celebration for many years and even performed at past celebrations. Throughout her speech, she focused on King’s origin story, noting his upbringing in the church and his appreciation for Henry David Thoreau’s “Civil Disobedience.” Smith also stressed the importance of unification in Evanston. Smith said there are many attempts to focus on diversity in Evanston, but she pushed Evanston residents to work harder. She added that she’s not sure how long change will take, but it starts in the community and schools. Tim Rhoze, the artistic director of the Fleetwood-Jourdain Theatre, said he wanted to highlight young people in the celebration. He thought Smith’s perspective as a black woman born and raised in Evanston would illuminate the passion of Evanston youth. Rhoze also emphasized the importance of studying King’s legacy and values. Eldridge Shannon, the host for the event, said he has worked with the Fleetwood-Jourdain Theatre for years and was enthusiastic when Rhoze asked him to participate in the celebrations. Shannon said he enjoyed seeing the community come together not only to celebrate Martin Luther King Jr., but also to celebrate the civil rights movement as a powerful movement that communities are still fighting for today.